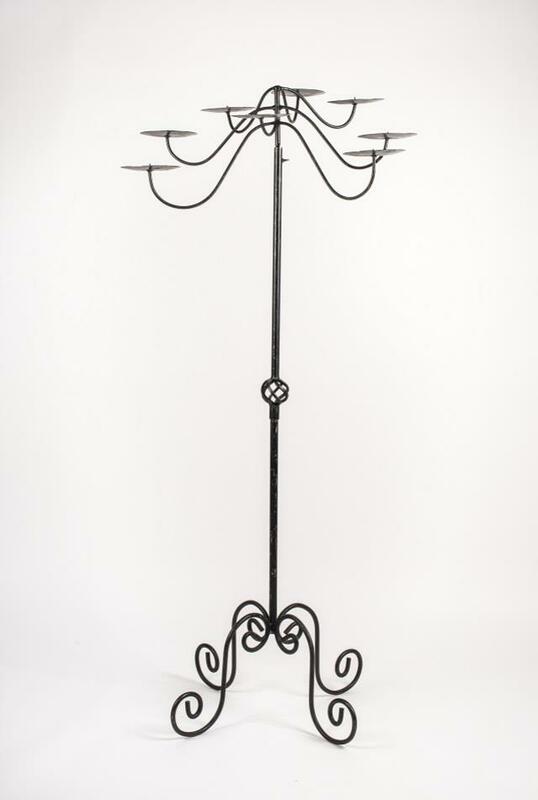 This black wrought iron candelbra is adjustable from 5-7'. You can use it with 8 pillar candles or with 7 pillar candles and a floral arrangement. The arm spread is 28.5". * Please call us with any questions about our candelabra tree iron 7/8lt rentals in Columbia and Jefferson City MO.